C P Shutters - Curtains/Blinds/Shutters based in Westcliff-on-Sea, Essex. Invoice history based on 273 reviews. 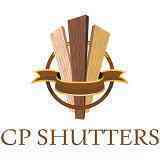 CP Shutters Ltd is the largest independent Interior Wooden Shutter Company in Essex. We are a family run business who have been trading since 2007 and have designed, built and installed over 10,000 Shutters throughout the Essex and East London areas. Our showroom in Westcliff-on-Sea is open Monday to Friday 9am - 5pm, where you can view our 6 product ranges with over 20 variations of Shutters that we have on display. We specialise in the supply and installation of bespoke plantation Shutters and offer a 10 year guarantee on all our Shutters. Our staff are trained in their own fields and are not commission based or sub contracted. We advertise all of our prices online and instore, they include Installation, VAT and Warranty - No Hidden Charges meaning everyone pays the same price. We have been a Buy with Confidence Trading Standards Approved Member for over 10 years. If you would like more information about our products and services, please do not hesitate to contact us today! Our team photo for 2017! The CP Shutters family continues to grow, we would love to welcome Zayddin, Wayne, Becky and Baby Harry to the Team!